AeroVision owns and offers Embraer ERJ 145 and EMB 120 aircraft on an “as-is, where-is” basis or repair managed to meet your specific requirements. We work with best-in-class MRO providers to rebuild and recertify the aircraft, delivering customized products to meet the customer’s specific operational requirements. We provide complete service with airframe and engine parts support options for small and large operators with around the clock service. 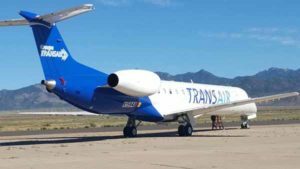 AeroVision owns and offers both lower and higher time Embraer ERJ 145LR and EP aircraft that are refurbished to meet your specific requirements. Tailored to your needs, AeroVision offers a wide range of options for the interior, exterior, engine and avionics specifications your Part 125, 135 or 121 operation requires. Additional options or STC’s – Wi-Fi, ADS-B, power outlets, dual FMS, Flight Tracker, etc. AeroVision utilizes the best maintenance, repair and overhaul providers to rebuild and re-certify your aircraft – highly skilled and experienced technicians who take pride in delivering a product that will meet the requirements of the most discriminating Director of Maintenance. Engines are offered to satisfy your individualized requirements; time continued, fresh from a shop visit, or ready to enroll in the Rolls Royce Total Care program.